There is a question you answered a long time ago, just as you were deciding to get into the real estate business. Maybe you actually asked yourself the question, maybe you even wrote down the answer. Chances are, however, that you just intuitively knew the answer and never questioned it, never verbalized it. Why did you open this business? What were you hoping to accomplish? What do you expect the business to do for you? How will you exit the business when you are ready for something new? Too often we let business gurus answer the question for us. We allow these self-professed masters to dictate that our desire is to get bigger and bigger and do more and more deals and dominate the market and so on. But that’s a lie. I’ve been in this business more than 40 years and I promise you, after you scrape away all the scripts that were learned in some guru’s class, most people are in it to be their own boss and have control over their time. That’s a very different mind-set from wanting to build an empire. And it is perfectly all right. There is no right or wrong answer to the question, ‘Why.’ Different people will have different answers and each answer will be laced with its own nuances. What’s important is that you very consciously answer the question and then let the answer drive your behavior. A broker wanting to grow to 500 closed sides a year should behave differently than a broker wanting to get to 60, even if they are both starting at the same place. When you parrot someone else’s vision or regurgitate the picture you think some expert wants to hear, you set yourself up for failure. You babble away about more market share, more listings, more closed sides, more staff and . . . nothing happens. That’s because deep down inside you don’t really want that. You don’t want to manage all of those people, to deal with issues and answers 15 hours every day, don’t want to devote yourself to that mission. Why are you doing this? What are you hoping to accomplish? How do you see your role changing as you move toward that goal? If you do discover that you want to be an absolute beast in the marketplace, the dominant player, great. We’ll help you get there. But you have to want it. If you realize that all you want is a good job where you’re the boss and you control your time, that’s great too. But you have to admit it and plan your business accordingly. 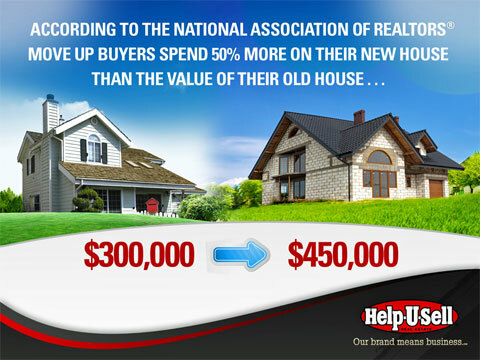 Understand that our goal as Help-U-Sell Real Estate is to become the dominant player in all of our markets. We have the perfect vehicle to get there: a better offer for consumers. We are delighted that you are making that offer to consumers and moving us closer to our goal. If you are a 30 to 60 closed sides a year person, we will work with you to become more efficient and effective and happier in your business. 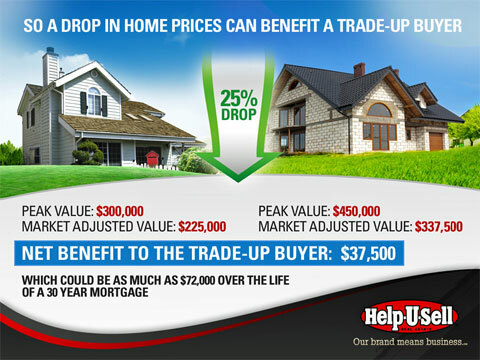 If you are a 200 to 600 closed sides a year person we will pull out all the stops to help you get there. Regardless how you answer the big question, we appreciate who you are and what you’re doing. You are helping us achieve our ultimate goal and you are heroes in our eyes.